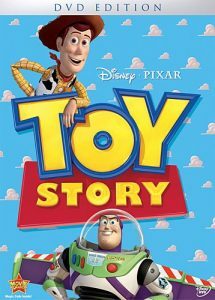 Woody, a cowboy doll, is Andy’s favorite. But when Buzz Lightyear arrives the space hero takes Andy’s room by storm! Their rivalry leaves them lost and in a nightmare with Sid, a toy-torturing boy next door. To escape they need to work together.